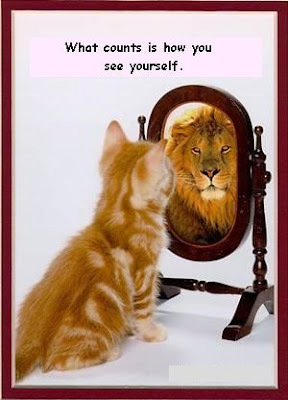 I really like the image of the kitty seeing himself as a lion. Totally awesome. Thank you for sharing.